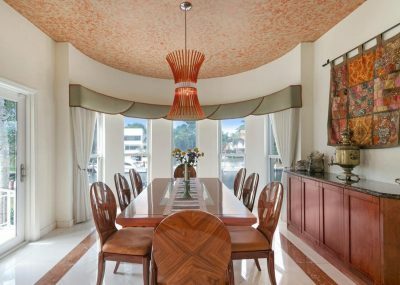 This house is located on the prestigious Mar Street in the gated community of Gables by the Sea. 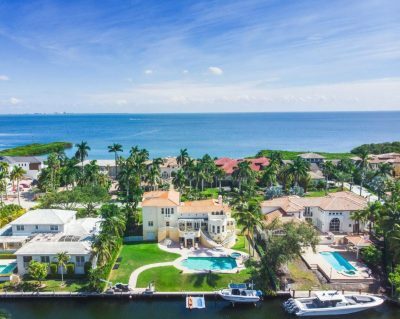 It features 110′ of seawall frontage with no bridges to Biscayne Bay, making it perfect for boaters. The dock also includes davits, a boat lift, and a floating dock to make this house a complete boaters dreams. The house itself features 5 bedrooms and 5/1 bathrooms with architecturally interesting features throughout. 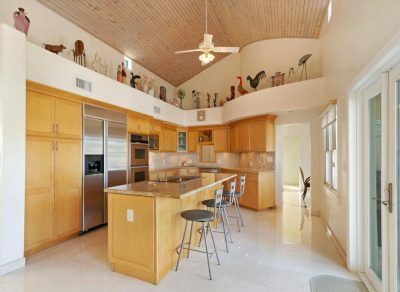 The large eat-in kitchen provides beautiful views to the pool and canal. The master suite is completely private on the third floor and has large his and hers walk-in closets, sitting area, and a luxurious master bathroom. 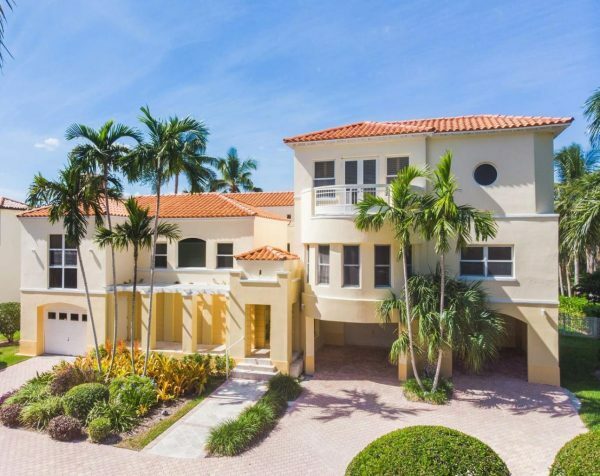 The house offers prime waterfront living with easy access to enjoy what the Miami coastal living has to offer.